John R. Stahl was a multi-talented artist, educator, and environmental activist who graduated from the Museum Art School in Portland and who lived and worked near Tillamook on the Oregon Coast. 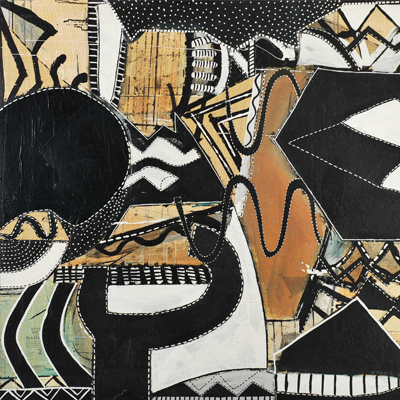 Organized by professor emeritus and senior faculty curator Roger Hull, the exhibition will feature a range of Stahl’s artwork from the past 45 years, including paintings, assemblages, and works on paper drawn from the Hallie Ford Museum of Art’s permanent collection and several private collections. 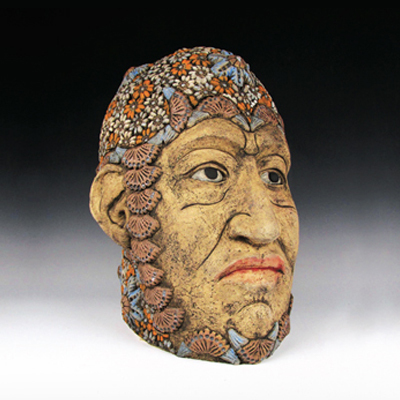 Seattle artist George Rodriguez creates figurative ceramic sculptures that explore current political issues as well as his own Mexican-American heritage and cultural similarities that connect people from across the world. The exhibition will look at Rodriguez's work from the past 10 years and has been organized by curator of collections and exhibitions Jonathan Bucci. Carol Hausser is an immensely talented Salem watercolor painter and retired art instructor at Chemeketa Community College. 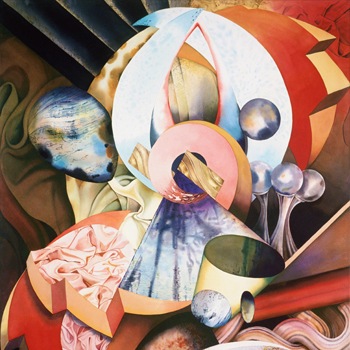 The exhibition features a range of Hausser’s abstract watercolors from the past 35 years.